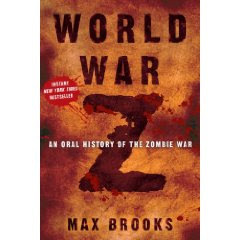 I read through World War Z last night, and really liked it. It's written as a serires of interview transcripts with various characters - doctors, smugglers, soldiers, survivors, etc., and their disjointed union tells the tale of a massive outbreak of a deadly zombie virus. It's very War of the Worlds in its style. Easily found at my favorite book store, the library.